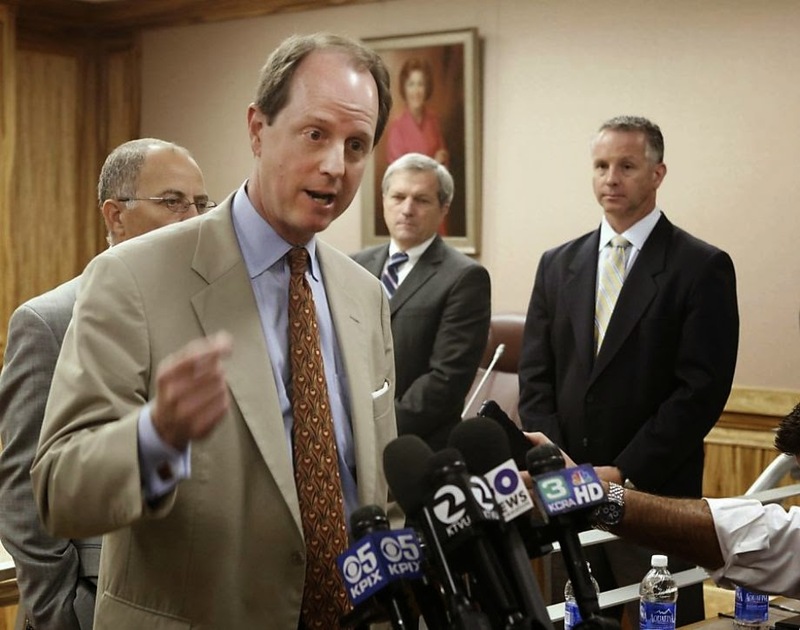 Steve Hemminger "splaining himself" at a press conference over the Bay Bridge cost overruns. The Metropolitan Transportation Commission should fire its chief prima donna. Whether it's the Bay Bridge, empire-building real estate speculation or self-indulgent travel, Executive Director Steve Heminger shows disregard for the public purse. To him, it seems, cost is no object and the ends justify the means. Commissioner Steve Kinsey, a Marin County supervisor, assessed the fallout. "We're ending up as a kind of a prima donna agency in the eyes of the public," he said. "We're acting in ways that appear to be indifferent to the economic realities and the frustrations of the traveling public." While Heminger officially reports to a board, in practice it's often flipped. The commissioners, mostly city or county representatives, worry first about securing money for their locales, which requires remaining in Heminger's good graces. After 14 years running MTC, Heminger has become the regional transportation czar. In three years, he flew to conferences in Tokyo, Sydney, Beijing and Vienna using air tickets costing more than $45,000, Bloomberg reported. MTC rules require travel by the most economical means, but Heminger ignores them. His $13,000 Sydney flight was eight times the price of a coach ticket. His bill for international trips surpassed leaders of New York, Los Angeles and Chicago transportation agencies. Those officials took a combined five trips in the same time. Meanwhile, Heminger continues deceiving the public about his real estate deal that's using bridge toll money to gut and refurbish a San Francisco building for MTC, Association of Bay Area Governments, Bay Area Air Quality Management District and San Francisco Bay Conservation and Development Commission.It was a bad idea from the onset, before the $167 million project ballooned 53 percent to $256 million. Heminger didn't do basic due diligence. The state auditor slammed MTC for its bogus accounting. The state Legislature's attorney questioned the legality of using bridge tolls for it. As for the new bridge span, Heminger leads the oversight committee created in 2005 to protect toll and taxpayers' interests. But he has often been an ill-informed defender of Caltrans, claiming technical expertise he lacks and spending excessively. The Sacramento Bee reports that bridge officials paid hundreds of millions of dollars to speed up work slowed down by contractors' own blunders. "We have traded money for time," Heminger claims. "We never once traded quality for time." After broken bolts, hundreds of cracked welds, road deck leaks and weakened steel tendons inside concrete, does anyone seriously believe we got top-quality construction? We need a cost-conscious official running MTC, not an imperial one. It's time for commissioners to act.